Kristen is an LA-based actor and singer originally from Westford, Massachusetts. She attended Muhlenberg College, then transferred to NYU’s Tisch School of the Arts where she received a BFA in Drama. 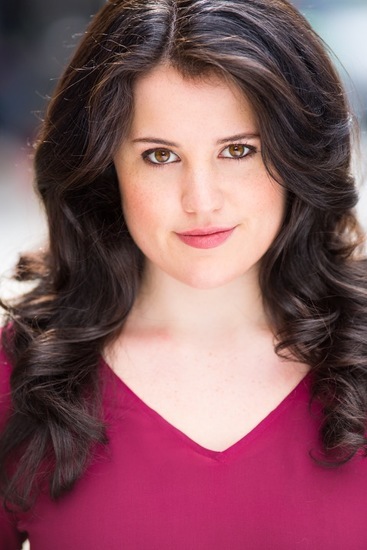 While at Tisch, she studied TV, Film, Commercial, & Voiceover acting at Stonestreet Studios, as well as musical theater at the New Studio on Broadway. Professional stage performances include a musical at the Palace Theatre in Manchester, NH and a drama at the Central Square Theatre in Cambridge, MA. Professional voiceover work includes a radio spot for National Grid, an industrial animation for Kognito, several audiobooks for Audible.com, a commercial animation for Heluva Good!, and a web commercial for Empower Retirement. Kristen has completed the first three levels of Improv training at the Upright Citizens Brigade in New York City, and completed improv 401 at UCB LA. In May 2016, Kristen played the character, Viv, in an independent TV pilot filmed in NYC, ‘Ally & Viv’. The pilot, which premiered in August 2016, is being submitted to film festivals and pitched to networks and studios. Storytelling has always been one of Kristen’s passions. At 10-years-old she was writing and filming spoofs and sketches for the camera with friends based on Star Wars, Indiana Jones, Harry Potter, and Phantom of the Opera. This later developed into passions for writing novels, stories, and plays. In high school, she began filming, directing, and editing short films and music videos based on literary novels such as Lord of the Flies, Catcher in the Rye, Scarlet Letter, and Alice’s Adventures in Wonderland. Kristen enjoys the outdoors and nature, winning at Super Smash Bros on N64, exploring new places on her bicycle, running across rock walls on the beach, practicing Jim Carrey facial expressions, picnics with wine, taking goofy pictures with her 3 siblings, watching the moon, and wishing she was a member of the X-Men.